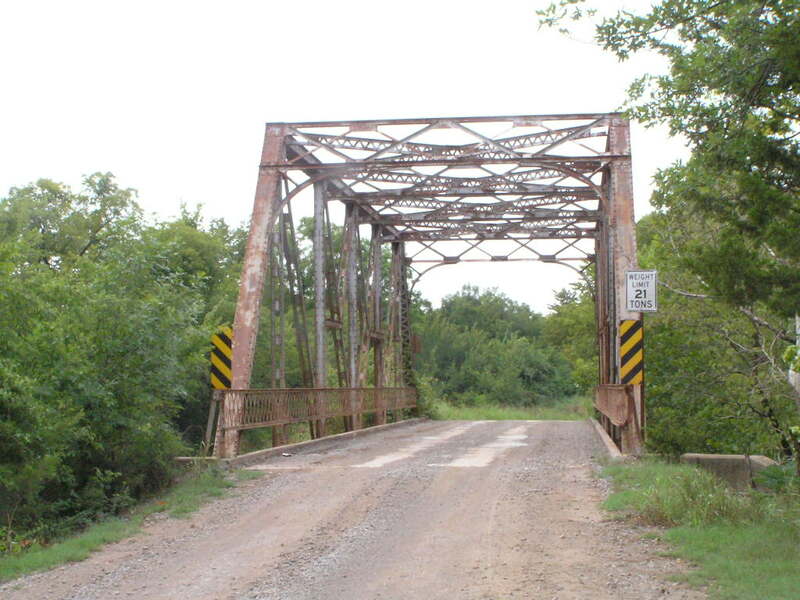 Big Creek Bridge, Payne Co. 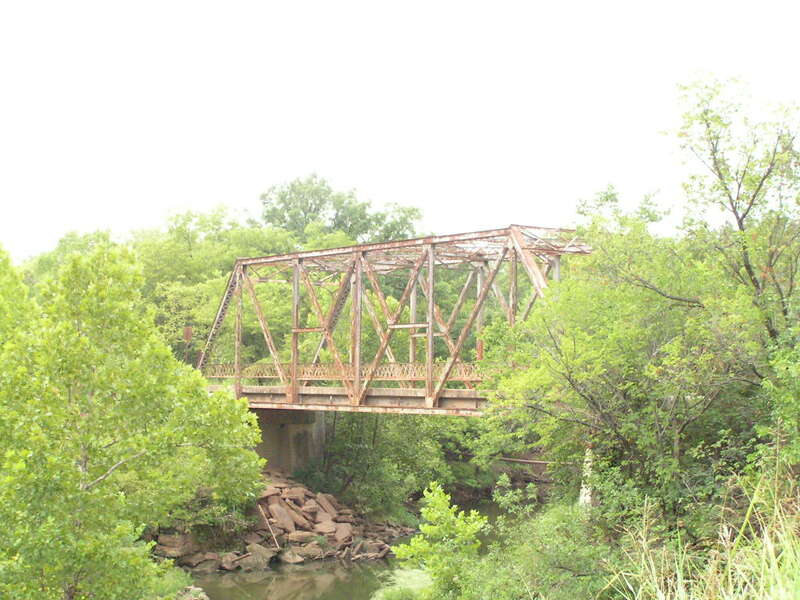 Built in 1926 adjacent to the old Cushing water works, this 100-foot modified Pratt span stands in good condition. Above, a overview looking through the structure. 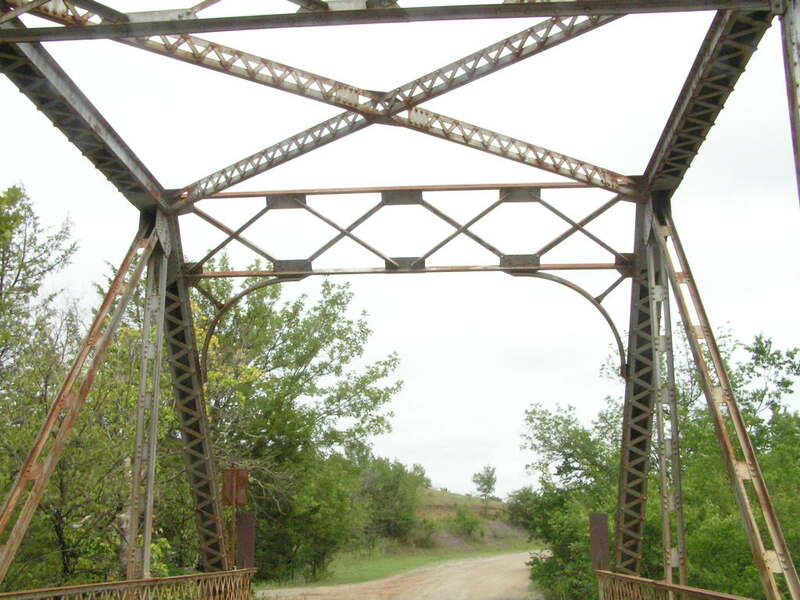 This span is typical of the short through Pratt spans built in the 1920's. Below, this view was taken from the grounds of the old water works. The old Cushing water works is actually located about 2 miles east of Riply. Below, a close view of the portal and other steelwork. Note the good condition, relatively, and that much paint can still be seen. Below, a final view of the bridge. 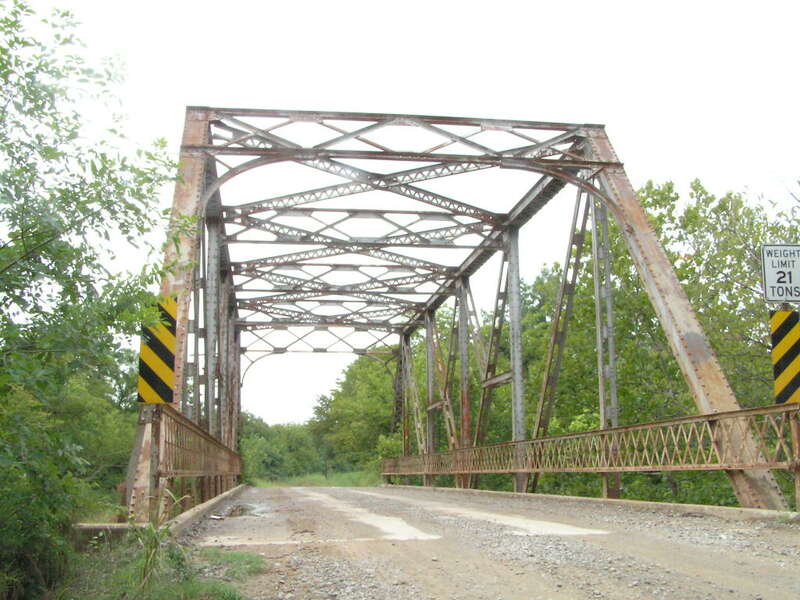 Still surprisingly sound with a 21 ton load limit, this bridge reminds us of the longevity of the truss type.